A specially curated, new mash up of DJ Shadow’s ‘I Gotta Rokk’ track has been released for free download by London turntablist surgeon Stereo:Type and Irn Mnky today. Commissioned alongside six other incredible artists by Xfm’s Eddy Temple-Morris, Stereo:Type was invited to create a new mix using the former UNKLE member’s tracks, in a tribute to his career in music. The new mash-up was aired on the Xfm Remix Show last Friday and blends classic samples from Guns & Roses, The Prodigy and Led Zeppelin cut into DJ Shadow’s beats. 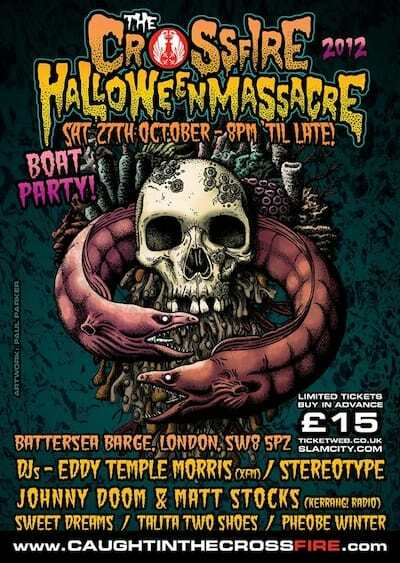 Both Eddy and Stereo:Type will headline the decks of the Battersea Barge for this year’s Crossfire Halloween Massacre on Saturday October 27 following a skateboard jam with guest pro skaters at the brand new BaySixty6 skate park during the day. 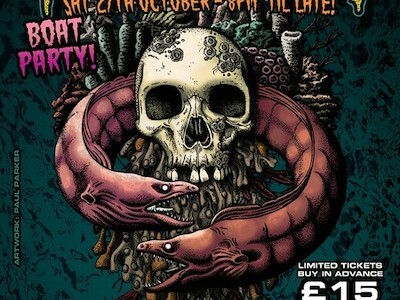 Infamous for promoting London’s most raucous Halloween parties, Crossfire will roll out a nautical themed boat party on the to celebrate the 100th Anniversary of the Titanic’s fatal destiny. The static vessel will host special guest DJs Eddy Temple-Morris, Stereo:Type, Sweet Dreams, Johnny Doom & Matt Stocks, Talita Two Shoes, the Crossfire Sound System and Phoebe Winter on the decks. Expect a serious mash up of hip hop, bass, dubstep, drum‘n’bass, classic rock and party classics from 8pm until late. Fancy dress is optional. All details for the Crossfire Halloween Massacre can be found at www.caughtinthecrossfire.com. Party tickets are on sale in advance only at www.wegottickets.com for £15. Get tickets early to avoid disappointment as this event sells out annually.